Transfer your content and settings to your new Xbox One X with ease, so you can get back to playing faster. We know you’re excited about Xbox One X, and we want to make upgrading from your current Xbox One or Xbox One S as seamless as possible. We’ve introduced new features that make it easier than ever to quickly transfer games, apps and settings between consoles. Copy the games and settings on your current Xbox One to an external storage device. When your Xbox One X arrives, connect your storage device to apply your game and settings during setup. A bulk transfer option allows you to select and transfer as many games as you want all at once. Allow your new Xbox One to copy games and apps from your existing console on your home network. Enjoy unlimited access to over one hundred great titles for only $10.95 per month, including exclusives like Halo, Crackdown 3, Forza Horizon 4, Sea of Thieves and State of Decay 2. With so many games to discover and download, your Xbox experience will never be the same. Need additional help? We’ve created a guide to help you make the most of your Xbox One experience. How will I be able to transfer my digital games to my new Xbox One X? There are two ways to move your games and apps between consoles: external storage device and network transfer. We’ve improved your external storage options and introduced the all-new network transfer. How do I move games to external storage? Xbox One now supports bulk storage transfer. On your current Xbox One, plug in and select your storage device from the menu, then select multiple games and apps to copy or move. Then, physically move your storage device to your new console, and you’re able to play straight from the device, no installation required. With this plug-and-play implementation, you’ll be gaming within minutes of unboxing your new Xbox One X. What kind of external storage do I need? You’ll need a storage device that’s USB 3.0 or faster, 256 GB or larger. The larger the better, especially if you plan on playing games that are enhanced for Xbox One X. Can I transfer my console’s settings using my external device? Yes, you can turn on settings backup which will copy your console settings to your storage device. Your new Xbox One X will automatically detect and apply those settings from the storage device during setup. What settings do you back up? Don’t you do that already? There are some settings that roam with your profile, but settings backup will back up a core set of console settings that are specific to that one console, such as notifications. Some hardware settings, like video and audio, are not copied, since we’ll set that up when we detect your hardware. Do I have to use an external storage device? No. You can continue to use the internal storage device that came with your console, then use network transfer to copy your games and apps from your old console to your new Xbox One X. New with the Autumn 2017 update, network transfer will let you connect to other Xbox One consoles on your home network and copy games and apps from those consoles, saving you time and internet bandwidth. How do I move games with network transfer? Within Settings, turn on network transfer on your current Xbox One. This will make it so that your new Xbox One X can find your old console on your local network. 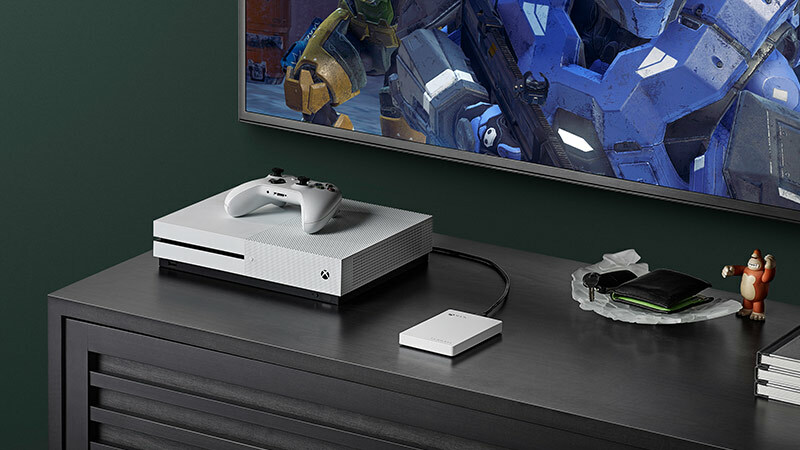 Then, after setting your Xbox One X up, you’ll be able to connect to your old console, select multiple games and apps, and copy or move them over the network. Some of the games I already own will be Xbox One X Enhanced. Do I have to download something extra? Many Xbox One games require updates to add the Xbox One X Enhanced features. You can download these updates ahead of time on your current console and copy them over to your new Xbox One X using external storage or network transfer, so you’re ready on day one. Does settings backup and network transfer only work when moving to Xbox One X? No. With the autumn update, these features will also be available on every console in the Xbox One family. Whether you’re upgrading to Xbox One X, Xbox One S, or just switching consoles, it all just works. 1. Subscription game selection varies over time. Learn more at xbox.com/game-pass. After trial ends, monthly subscription required; continues at then-current rate until cancelled. Storage quantity depends on game download size. 2. Enhanced features for Xbox One X subject to release of a content update. Games information at xbox.com/xonexenhanced.